Grant Recipient: Milwaukee World Festival, Inc.
Milwaukee World Festival, Inc. will install an extensive green infrastructure system at the Summerfest grounds near the Lake Michigan lakefront. 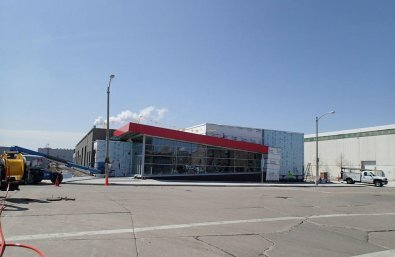 The project is part of a larger effort to transform an existing maintenance building on the Summerfest grounds into a new administrative office building. As part of the project, MWF will install a green roof on the new building and will incorporate porous pavement and bioswales to capture run off from an adjacent parking area.